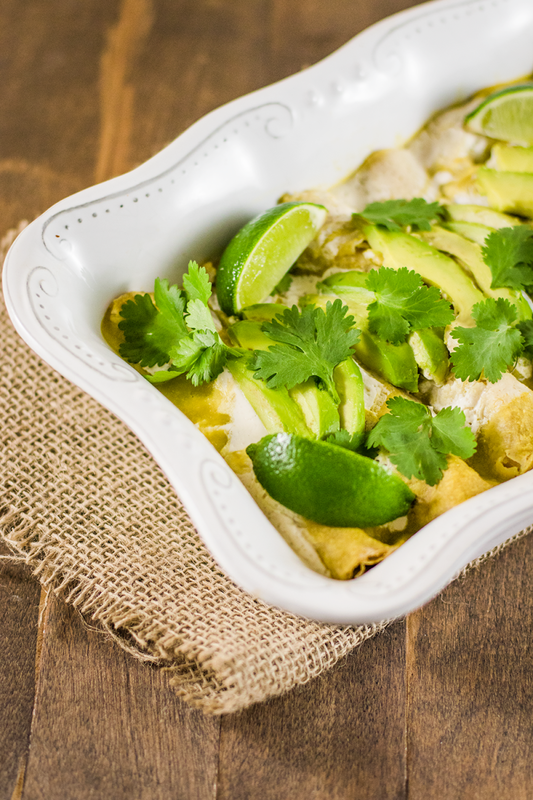 You can&apos;t go wrong with serving a classic comforting dish like these vegan enchiladas. 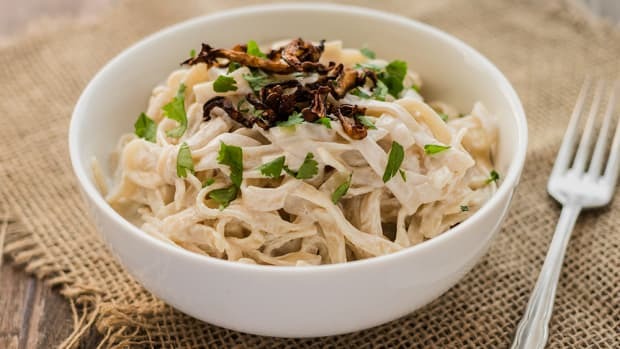 With a protein-rich filling, flavorful verde sauce, and creamy cashew cheese, this dish is certain to satisfy a crowd. 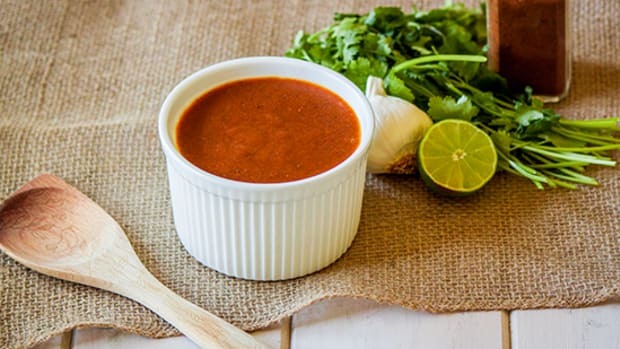 Green or “verde” sauce, which is made from tomatillos, is ideal for those who don’t enjoy spicy foods since it’s a much more mild option. 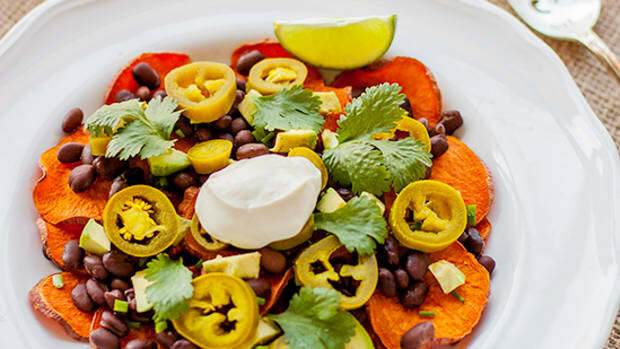 It has a subtle kick from jalapeno but not enough to overwhelm the dish. Any mild heat present is counteracted by the cashew cheese’s creaminess. Tomatillos are in season at the moment so the time is now to make this dish. You can find these husk-wrapped gems at most grocery stores. They are quite easy to cook with and will surprise you with their flavor. They resemble an unripe tomato but taste completely different. 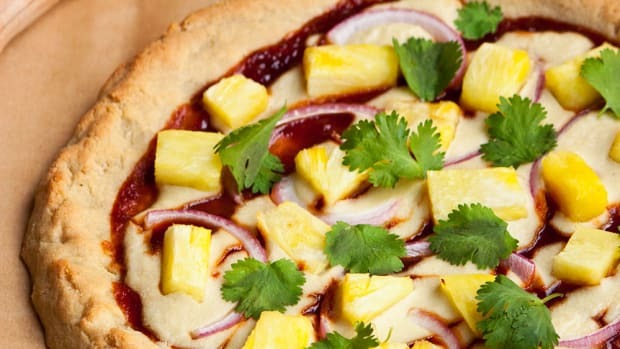 They have a tart and almost fruity flavor, which works perfectly in Mexican dishes. An extra pang of tang is added by the cilantro lime tofu. This herby protein-packed filling is a great substitute for chicken in enchiladas. Marinating it for a couple of hours beforehand ensures the tofu will be anything but bland. 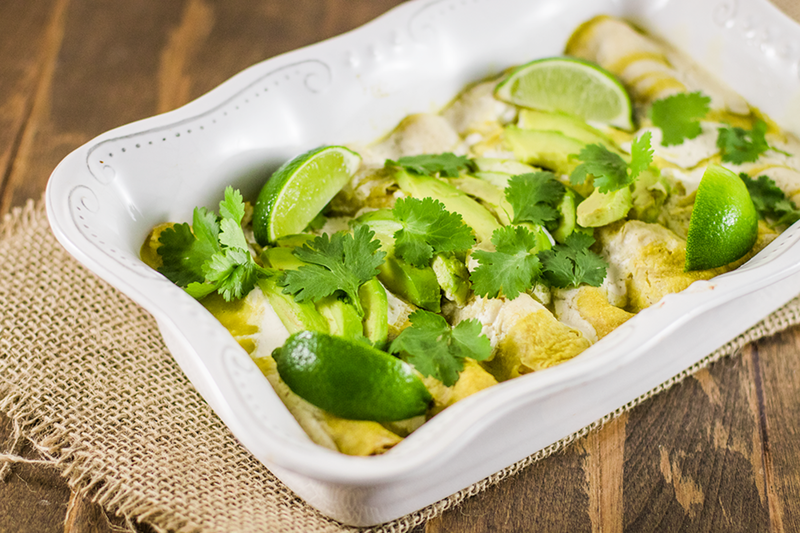 So even carnivores will enjoy these vegan enchiladas! 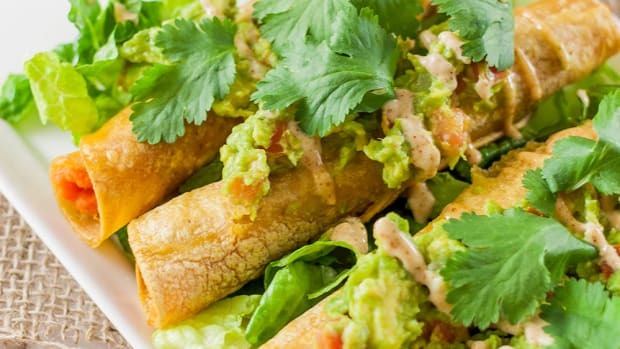 Serve these vegan enchiladas alongside homemade refried beans and margaritas. You won&apos;t be able to resist going back for seconds, or ahem, thirds! To make the filling, crumble the tofu into small pieces and place into a large bowl. Add the vegetable broth, lime juice, spices, and cilantro. Mix well and cover the bowl. Place in the refrigerator to marinate for at least 2 hours. To make the sauce, slice the tomatillos in half and place into a large pot. Add the sliced jalapeno, garlic cloves, vegetable broth, and sea salt. Heat over medium-high heat and bring to a simmer. Cook for 12-15 minutes, until all are softened. Using a ladle, transfer the tomatillos, jalapeno, garlic, and vegetable broth from the pot and pour into the blender. Blend until smooth. Set aside. Heat the oil in a large skillet over medium heat. Add the onion and saute for about four minutes, or until softened. Add the bell pepper and saute for an additional five minutes. 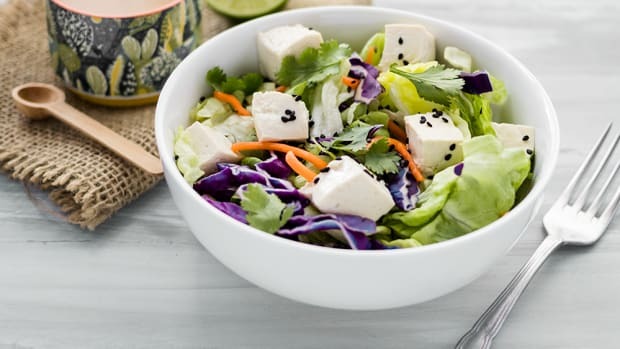 Remove tofu from the refrigerator and drain any excess marinade. Add the tofu to the skillet with the onion and peppers and sauté for ten minutes, stirring occasionally. Remove from heat. Preheat the oven to 350 degrees Fahrenheit. Lightly grease a 13x9 baking dish with oil. Spread a thin layer of green sauce in the bottom of the baking dish. Heat the tortillas in a skillet over medium-low heat. Fill each tortilla with a spoonful of tofu filling, a drizzle of green sauce, and roll tightly. Place in the pan. Repeat with all tortillas. 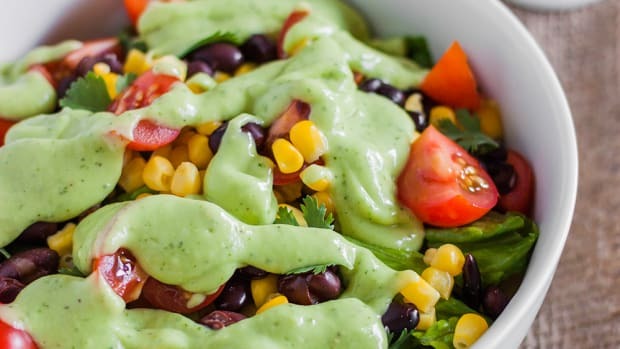 Cover the enchiladas with the rest of the green sauce and drizzle with cashew cream. Bake for 20 minutes. Remove from the oven and let cool for five minutes. 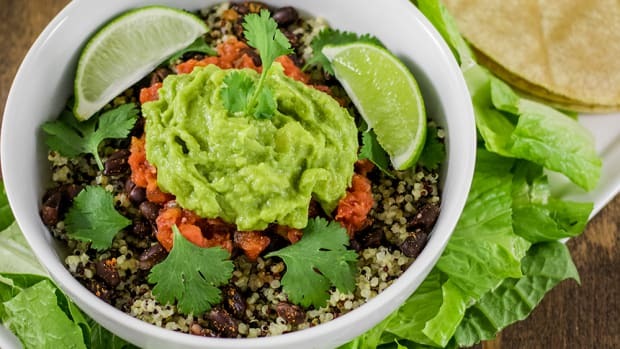 Top with sliced avocado, cilantro, and additional cashew cream if desired. Enjoy!